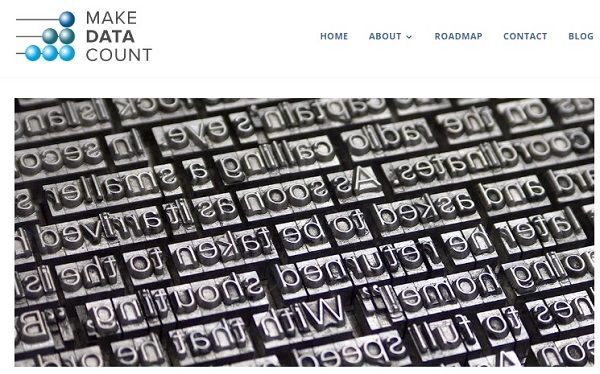 The Make Data Count (MDC) project is funded by the Alfred P. Sloan Foundation to develop and deploy the social and technical infrastructure necessary to elevate data to a first-class research output alongside more traditional products, such as publications. Partners of the Project are: California Digital Library, DataCite and DataONE (Data Observation Network for Earth). The project will run between May 2017 and April 2019. "The impact of research has traditionally been measured by citations to journal publications: journal articles are the currency of scholarly research. However, scholarly research is made up of a much larger and richer set of outputs beyond traditional publications, including research data. In order to track and report the reach of research data, methods for collecting metrics on complex research data are needed. In this way, data can receive the same credit and recognition that is assigned to journal articles" - Make Data Count: Building a System to Support Recognition of Data as a First Class Research Output. the significant social as well as technical barriers to widespread incorporation of data-level metrics (DLM) in the research data management (RDM) ecosystem through consultation, recommendation, new technical capability, and community outreach. long-standing partner initiatives supporting RDM and DLM, leverage prior Sloan investments in key technologies such as Lagotto, and enlist the cooperation of the research, library, funder, and publishing stakeholder communities. and clients will serve as exemplars for future data repository and discovery platform integration in a robust DLM ecosystem supportive of increased levels of adoption and awareness of RDM best practices. Are you working in the data metrics space? Collaborate with MDC.